Now we have moved on to cover temperature sensors, a very important part of the work we do relating to solar water heating systems. 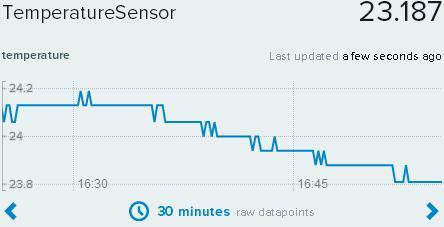 Being able to control a pump based on the temperature of one or more sensors is very powerful, but Raspberry Pi makes it (relatively easy) to also monitor those sensors over the internet and track the exact state of the system in real time remotely while also logging the data. We also added a second article which shows how you can feed the temperature readings from the DS18B20 connected to the Raspberry Pi for to be logged and visualised by cloud service Xively: Raspberry Pi Temperature Datalogger with Xively. 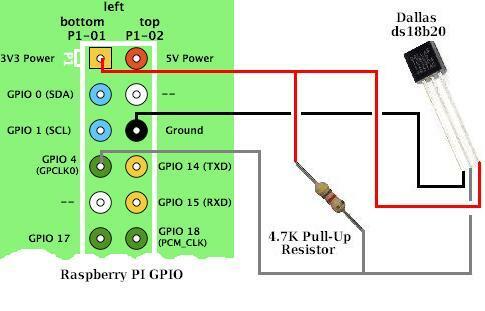 When we have finished publishing these introductory Raspberry Pi articles, we’ll then move on to articles showing how to pull the techniques explored together to make renewable energy related devices with Raspberry Pi – e.g. wind speed dataloggers, solar controllers, energy monitors, energy saving automation devices, and much more.